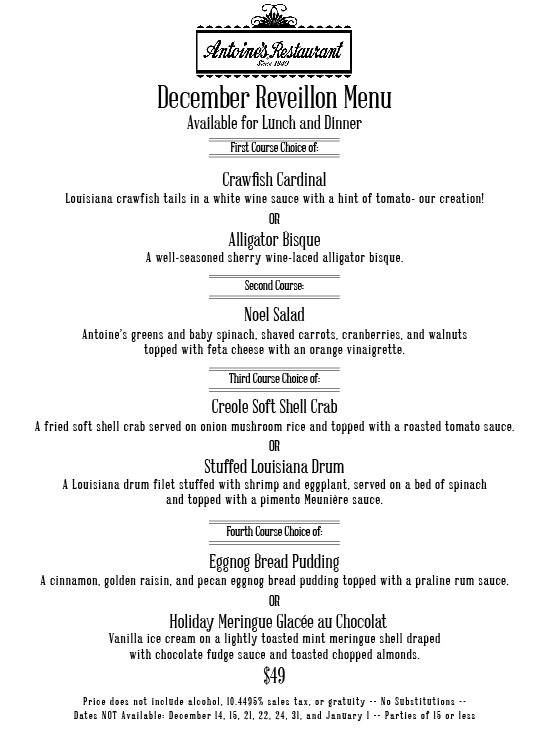 Check out our December Reveillon menu. It starts on Saturday, December 1st for lunch and dinner! Book a reservation today at 504-581-4422.